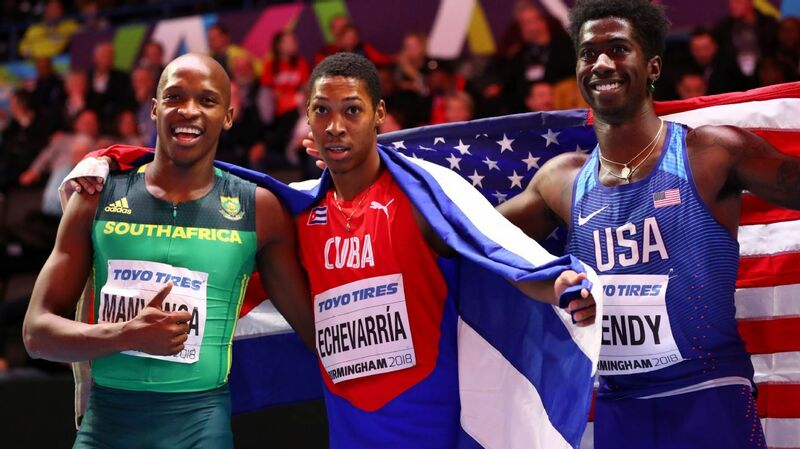 Cuban Long Jump´s athlete Juan Miguel Echevarría (center) after winning the World Championship in Birmingham, England. 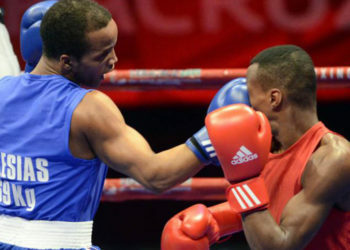 Next to him: southafrican Luvo Manyonga (left), silver medal, and north-american Marquis Dendy (right), bronze. Photo: ESPN. In the early morning hours of September 28, 2000, in La Guernica, a “trouble-making barrio” in the north zone of the city of Camagüey, a few fanatics were awake, cursing the luck of a hairy Australian. Jay Taurima, an electric and unknown jumper, was stealing Ivan Pedroso’s Olympic glory. There was silence in the narrow streets of Camagüey, but in just a few seconds there a roar was heard. “Ever since I have knowledge of sports I know what happened in Sydney. The last attempt, the tension, the record…it was a hard-fought competition full of pressure, and I have realized that the only one who could have won like that was Pedroso. 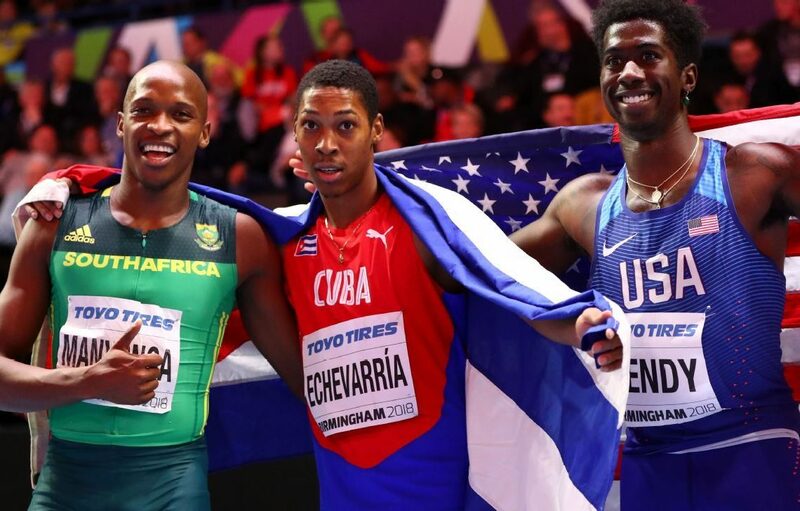 For me he will always be the best jumper in history, I feel represented with him,” affirms Juan Miguel Echevarría, who was only 25 months old when the Cuban Grasshopper immortalized his name in the Olympic books. Eighteen years after that dizzying night, the analogies and comparisons between Pedroso and Juan Miguel are the order of the day, since the then baby from Camagüey jumped from anonymity to fame and became the all-time youngest indoor world champion, which no one in La Guernica imagined. Tall and slim, vivacious and fast, Echevarría grew up as a happy, daring, terse and very active child. “That is my way, I won’t change it, I get it from my barrio, from my upbringing. I have been like that since I was a child and I will continue being like that,” he says, on a time machine that transports him to his beginnings in track and field. “A professor came to my school, Ernesto Lucas Ruiz, and he did several tests during the recess. I came out OK, and right at that very moment I decided to run. I was fast, I like sports and that world enticed me even more when I won three gold medals and a silver medal in my first junior tournament,” he recalls. In 2018, winter in Europe robed spring of a lot of days. Juan Miguel Echevarría walked the streets of Germany wearing a woolen cap and gloves like a perfect stranger. Those who went by him only saw a black guy out of his natural environment, without imagining that they were in front of a future world champion. And precisely that way, fully convinced that he could be better than the rest, Juan Miguel stretched in Birmingham up to 8.46 meters, the universal summit. 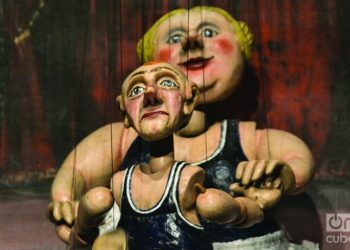 He made his mind go blank, only concentrating in the running start and in his sequence of steps to reach the board, and he left an endless amount of specialists speechless, all of them aware that that was just a demonstration of his huge arsenal. “My goal is perfection and that represents a great deal of work. I have the tools, I’m fast, tall, strong, powerful and I make an effort to polish the movements, strengthen the muscles and achieve greater synchronization,” he affirms in a tone that seems to come from an acclaimed athlete. 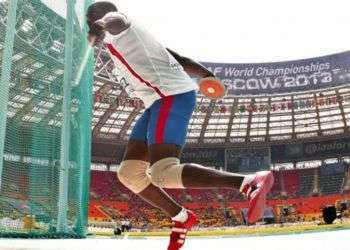 His jump, beyond placing him as a prodigy and one of the biggest promises worldwide, is proof that Cuban track and field is breathing and has talented and young standard bearers to stand up for a sports movement that, in general, generates more doubts than confidence. 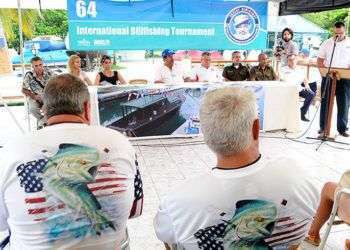 “We are working to sweep to victory in the Barranquilla Central American Games and also thinking of the 2020 Olympics. 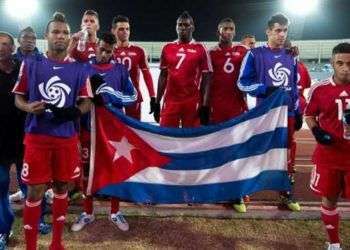 We want to demonstrate to the people that they can continue trusting Cuban track and field,” he underlined. 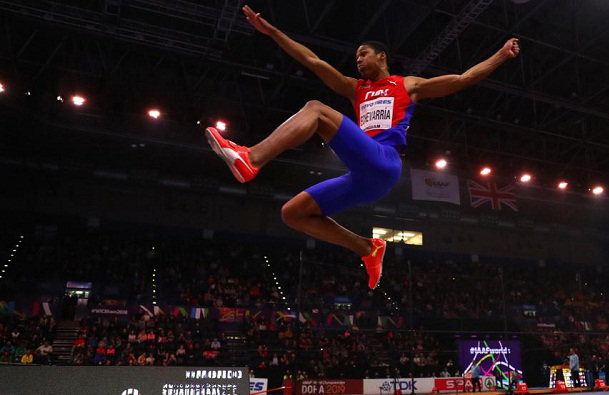 Juan Miguel Echevarría, winner of the Long Jump Cathegory in Athletism World Championship. Photo: Mundo Deportivo. Juan Miguel Echevarría has assimilated fame naturally, not fearing the limelights, basically because he is certain that they cannot overshadow him. “I’m going to the competitions to have fun. I’m not concerned about the public’s pressure, on the contrary, I enjoy it when people stand up when I jump, some to support me and others to see me lose. I have achieved the results calmly, everything can be attained little by little. I won a World Championship when I was 19 and that’s something important, it’s true, but that won’t last during all my career, now I have to stabilize and keep boosting my reputation,” says Echevarría, who doesn’t seem to have any obsession, except for a detail: the Olympic Games. When asked about Tokyo, he bites his lip, knowing that the summer concert is the most important for any athlete. “I’m going to get there when I’m 22, very young, with more strength, faster, more competitive maturity and I want to achieve a result. Being farsighted is not bad,” he specifies, although he frowns when I remind him that the Olympic title slipped through Ivan Pedroso’s hands until he was 28. 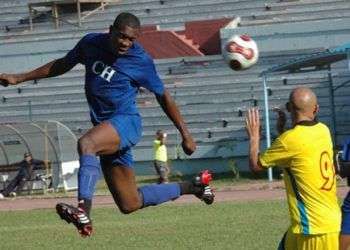 HOW OLD WERE THE ALL-TIME JUMPERS WHEN THEY WERE JUAN MIGUEL ECHEVARRÍA’S AGE? 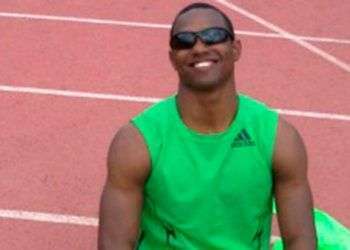 At 20, his best record was 7.24 meters. He didn’t jump more than 8.40 until he was 26.